I have been thinking of this friend a lot lately. A life that is on the “Where do I fit and what does it all mean and who am I?” trek and it is definitely a tough one. Trust me, I know. The lightning bolt hit! I had it. The secret to my knowing about my place in life was simply not worrying about which was better. It didn’t matter. All I wanted was a damned cheese sandwich and no damned argument with myself was going to ruin the pleasure of making and eating it. 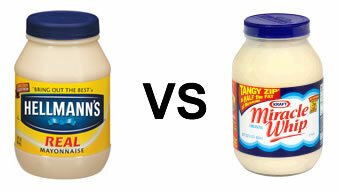 MAYONNAISE OR MIRACLE WHIP — IT DOESN’T MATTER! Now, if that isn’t profound, I don’t know what is!